Kenneth Anger’s LUCIFER RISING lacks any of the cheeky irony presented in his earlier films; gone are the pop songs (replaced by a Beausoleil score, composed from Bobby’s prison cell) and homoeroticism that made him famous- Rising is a symbolic analogy of the Age of Horus and while dated belongs in the movie collection of anyone interested in Esoteric Cinema. I was pleased to find this photo in my inbox this morning; a tribute to Mr. Anger’s Thelemic vision, tattooed on the fingers of one of the UK’s more impressive tattooers Simon Erl. 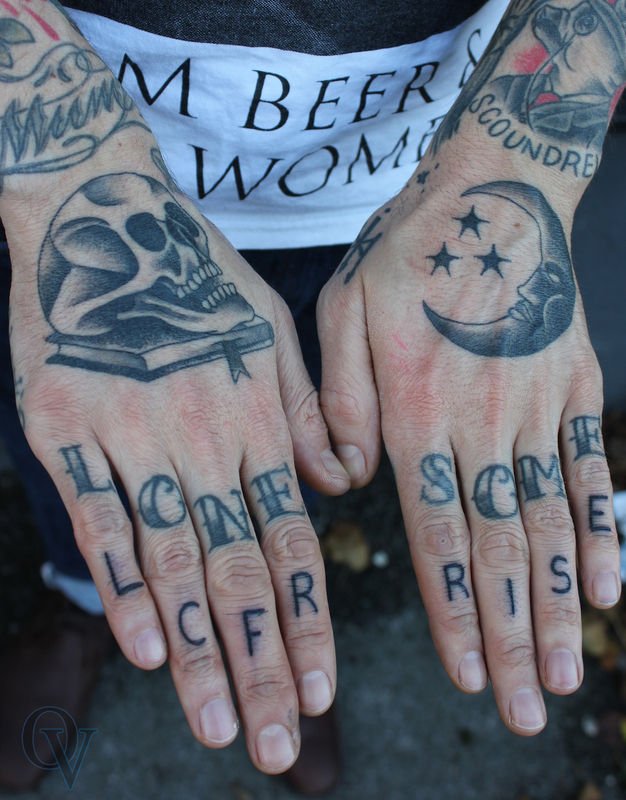 Daniel Abrigo did the tops of his hands, with the LCFR RISE lettering by Rich Hardy.